The food in New Zealand surprised me. I had heard the beef and dairy were good but they were SO GOOD. I ate as often as possible in New Zealand because it rarely disappointed. Let’s start in Auckland and see where I ended up. They said they were good. I thought they were exaggerating. 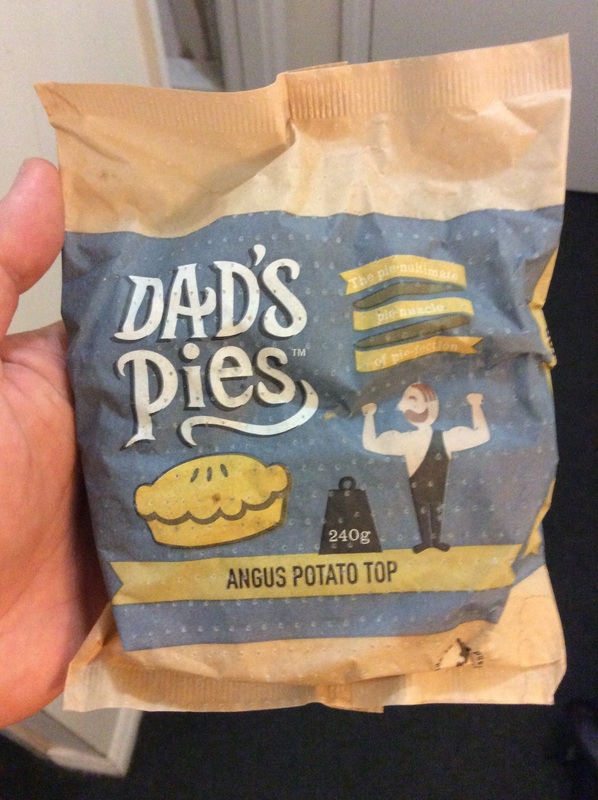 There is something magical about meat pies in New Zealand. From a cafe or a gas station, it doesn’t matter. I tried a bunch of meat pies. Mince, Steak, Steak and Cheese, Beef Potato Topped, the list is very long. 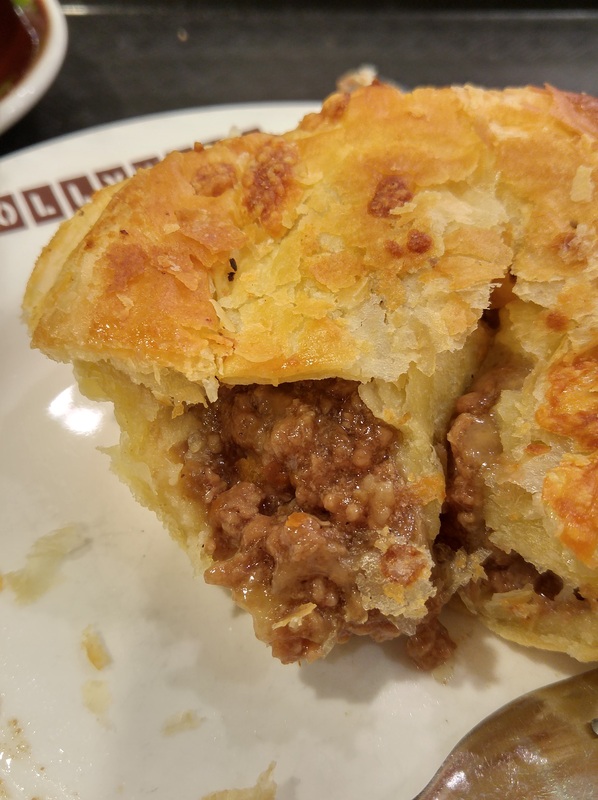 You should, no you NEED, to try a meat pie in New Zealand. Being a bit thrifty can lead you to some fantastic food discoveries abroad. I made a few trips to the grocery store to save a few bucks while in New Zealand. In Auckland I went to Countdown and New World to stock up on snacks and beer for my hotel room. The cheese, my god the cheese. 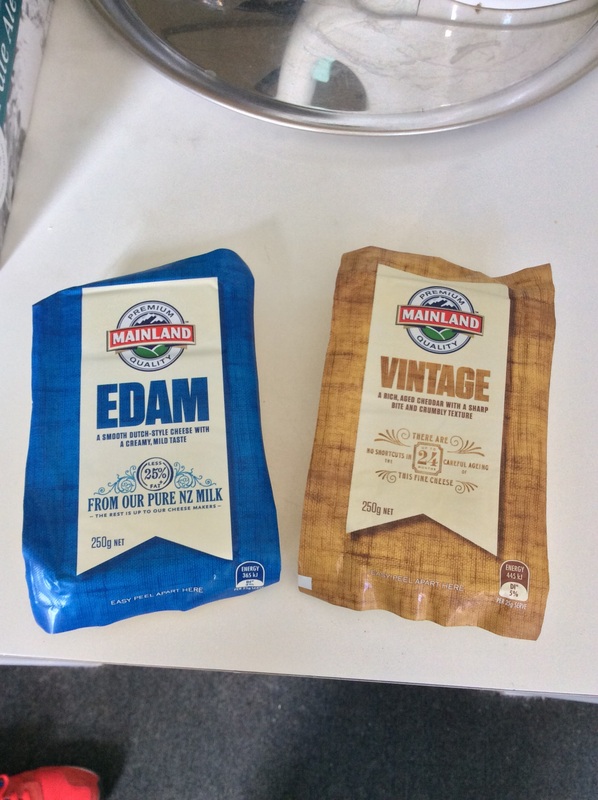 Apparently the Mainland brand is just regular quality cheeses in New Zealand but it is so far above Canadian non specialty store cheese it’s ridiculous. I ate an unwise amount of cheese in New Zealand, totally worth it. That 24 month aged cheddar made me consider marriage. Hot travel tip, always travel with a multi-tool. The knife and the bottle opener are worth their weight in gold. 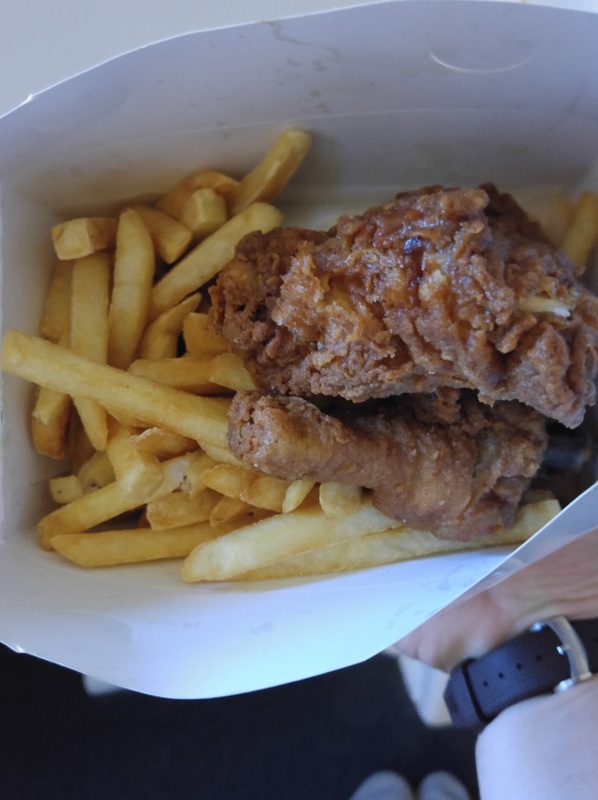 Fried Chicken From A Convenience Store. I didn’t pack a lot of clothes and planned on finding laundromats to make my small wardrobe last 2 weeks. In a serendipitous turn of events I found one of the best things I ate in New Zealand right beside Bubbles Laundromat in Auckland. 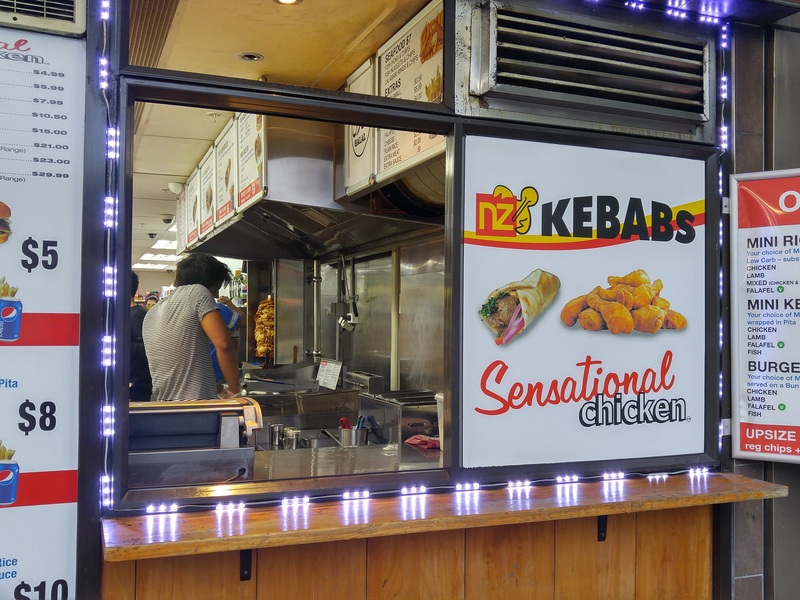 NZ Convenience Store didn’t look like much but their sign said “Sensational Fried Chicken.” The sign didn’t lie. Halal chicken, amazing seasoning, something called “chicken salt.” It was also priced right which is great as New Zealand can be expensive. Pizza is everywhere in Auckland. I was craving a slice or 2 so I Googled who had the best pizza near me. 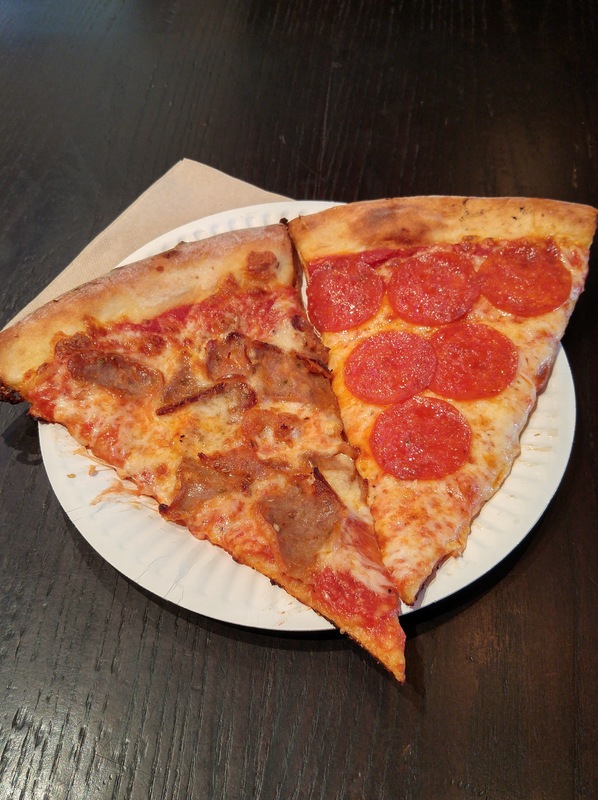 Sal’s Authentic New York Pizza was near the top of the list and 2 blocks away. Thin crust, foldable, greasy in the best way. Sal’s was way more authentic than I expected to find so far from New York. That’s Part 1! In part 2 we’ll talk about sushi, burgers, and pub food. Yum!!! You should try food truck garage I love their food! This is only part one! Best Ugly Bagel, Depot, Federal Delicatessen, Burger Burger and more still to come!